For those who are interested or willing to invest in the U.S. economy, U.S. immigration laws provide at least two visa options: the E-2 Treaty Investor Visa and the EB-5 Investor Visa. Both visa options have benefits and drawbacks. Before choosing which option to pursue, it is important to consult with an attorney who is experienced with Investors Visas. E-2 Investor Visas are available only to the nationals of certain countries with which the United States has signed a treaty of commerce and navigation. If you are a national of one of these countries, and are willing to invest a significant amount of capital in a U.S. business, you may qualify for an E-2 Investor Visa. There are a number of requirements that an investor must meet in order to qualify for an E-2 Visa. The investor must demonstrate that he or she will be developing and directing the business investment. Additionally, the investor must show that the invested funds were not obtained through criminal activity. 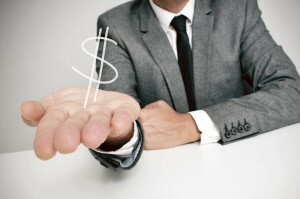 The invested funds must also be considered “at risk” and subject to the possibility of partial or total loss if the business is unsuccessful. While there is not a specific dollar amount that must be invested, the investment must be “substantial” and must generate more than a marginal return. 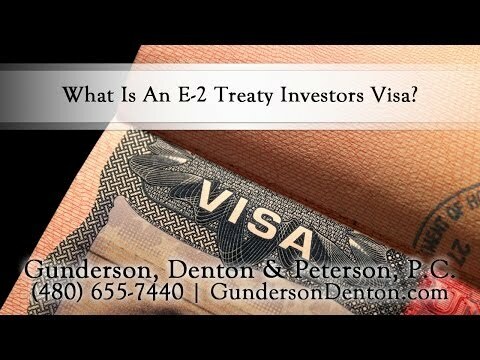 What Is An E-2 Treaty Investors Visa? Unlike the E-2 Investor Visa, EB-5 Investor Visas are not limited to nationals of any particular countries, but they generally require an investment of at least $1 million. (An investment of $500,000 may be sufficient if the investment is made in certain geographical locations). Like the E-2 Investor Visa, the EB-5 requires that the investor show that the invested funds were acquired legally and that they are actually at risk. Additionally, the investor must also show that the investment is being used for a new commercial enterprise, that it will create at least ten jobs. One advantage to the EB-5 Visa when compared to the E-2 Visa, is that the EB-5 Visa provides the immediate possibility of legal permanent resident status (a “green card”). The E-2 Visa is issued for a 2-year period but may be renewed indefinitely so long as the investor remains eligible. However, it is important to note that this is not the same thing as permanent residency status. Depending on your specific goals, an E-2 Investor Visa or an EB-5 Investor Visa may be the best fit. To make this important decision, it is best to discuss your situation with an experienced Investor Visa Lawyer. Typically as part of an Investors Visa application process, an interview is conducted at a U.S. Embassy. An Immigration Attorney like the professionals here at Gunderson Denton & Peterson will be able to guide you through this process as well as help with the application and necessary paperwork. There are many complex and detailed regulations associated with applying for an Investors Visa, but working with an experienced Arizona Immigration Attorney will help you to understand how the various Investor Visa programs work. The professionals at Gunderson Denton & Peterson, P.C. can assist you in obtaining either an E-2 or EB-5 Investor Visa. They can help you obtain and submit the necessary documents and visa fees. If you have already applied for a Visa and been denied, they can help you address those issues as well. Getting an investor visa on your own can be a difficult and confusing task, so it is highly recommended, to hire a professional Mesa Immigration Attorney. 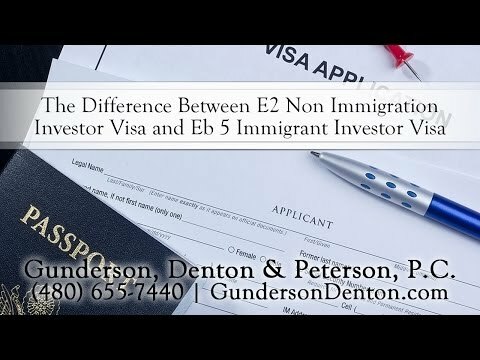 Call for information today at (480) 655-7440 to see how Gunderson Denton & Peterson in Mesa, Arizona can help you obtain an Investor Visa. From Phoenix Immigration Center to Gunderson, Denton & Peterson, P.C.